Learn about MyCase law practice management software for law firms. Includes info on MyCase, free trials, pricing, customer reviews, and FAQs. MyCase is a comprehensive law practice management solution created for law firms. The platform provides the tools users need to improve organization and increase efficiency. MyCase helps users stay organized by keeping important case details, documents, emails, tasks, and invoices available in a single location. MyCase offers one monthly plan of $39.00 per user, billed annually. If you would like to use the service on a month-by-month basis, the monthly fee is $49.00 per user. Pros: The software is user-friendly and easy to learn. Good customer support team. Cons: New feature updates take a while. Doesn't integrate with Outlook. Bottomline: Great software! It helps keep everything organized and accessible. Easy to navigate and has a good support team. What is MyCase's price range? MyCase offers one monthly plan of $39.00 per user, billed annually. If you want a month-by-month plan, the fee will be $49.00 per user. Is there a MyCase free trial? Yes, MyCase offers a 30-day free trial. To access the free trial, go to mycase.com and click 'Start Free Trial' in the top right corner of the homepage. What are some MyCase alternatives? Where can I find the MyCase login? Go to mycase.com and click "Login" in the top right corner of the homepage. MyCase Parent Company AppFolio Acquires Advanced Artificial Intelligence Technology Provider. Okay, I did that, I referred to myself in the third person, but Nicole Black, a legal technology evangelist for MyCase interviewed me for their blog. I use MyCase for my practice management software to help me maintain my practice, save time and money. I do love the fact that it is bank grade security and ease of use to communicate with clients. 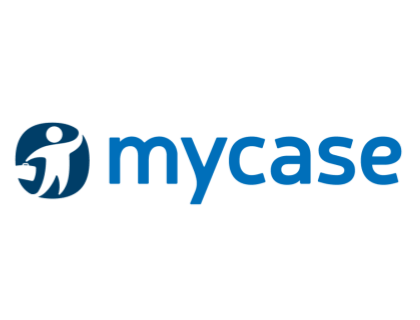 I use MyCase, it's fairly inexpensive on a monthly basis, it's good for managing cases but worthless for document assembly. I've been using MyCase for almost a year. It makes billing super easy and is pretty simple to learn and use. Some clients have had difficulty accessing their portal to make payments, but most have had no problems. They're constantly developing and improving. I like that it's web-based so I can access it anywhere without additional licenses. It's also about half the price of Clio. My firm has also used MyCase for a few years with only one major complaint. It's something we were able to resolve by adjusting how we operated within MyCase. No complaints for a while now. I've been using Clio and have generally liked it, but I gave My Case a try a couple of years ago and am about to switch back, mostly based on price. I like MyCase's form factor, and the price is way better than Clio's by something like $30/40 a month. I use MyCase and really enjoy how easy it is to use. It allows us to share documents, send messages, save notes to files, invoice and accept payment from clients and a lot more. The search bar and layout of the portal make it very easy to navigate.One downside is that you have to sign up to have MyCase host your firm's website if you want the portal to reflect the style of your firm's site. If you don't, when your client clicks to log-in from your website it'll redirect to MyCase, which will be its default appearance but with your firm's logo in several places. Not as nice looking but acceptable. We're a small firm but I think it would be very workable with a mid-size firm. I use mycase.com. Pretty basic, but can do everything you need. I really love it and have been using it for about a year and a half. Lots of features and easy to navigate. There's a one time $99 fee to integrate with Quickbooks. Service is top notch. I don't think I've waited more than 30 minutes for a response after I send a question. Plus the doc upload is really useful. And they have workflows you can create if your practice uses them. I use MyCase. It's good enough and it's the cheapest option at $39/mo per attorney. I wish I could customize it more because I don't love the way it is laid out. For example, I have to create a case and a client separately and then attach the client to the case. It feels clunky. But my complaints are relatively minor.If my practice gets bigger, I think I would switch to Clio.